How much is Harry Styles Worth? 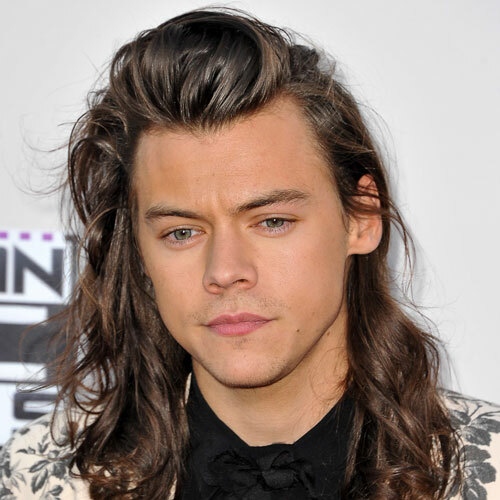 Harry Styles Net Worth: How rich is Harry Styles? & How much money is Harry Styles worth? Time to find out! Harry Styles is an English singer and songwriter, and his current net worth is $60 million. Harry was born in Redditch, Worcestershire as the son of Anne Cox and Desmond “Des” Styles. During his childhood he was raised in Holmes Chapel, Cheshire along with his older sister, Gemma, after their parents moved there. When he was only seven years old, his parents divorced and her mother remarried a few years later. From that he has an older stepbrother named Mike. At the age of 16, he had already found a part-time job at the W. Mandeville Bakery in Holmes Chapel. Growing up, Harry loved singing, saying that Freddie Mercury, Elvis Presley and The Beatles were his biggest influences. He went to Holmes Chapel Comprehensive School, while there he was the lead singer of band White Eskimo, which won a local Battle of Bands competition. The English singer and songwriter, is famous for being a member of the pop rock band One Direction. He decided to enter as a solo artist in the British television series The X-Factor. After a while he was eliminated as a solo performer but was brought back into the competition, along with other four contestants, Niall Horan, Zayn Malik, Liam Payne and Louis Tomlinson, to create the band every teenager loves today: One Direction. Among with the band, they released Up All Night (2011), Take Me Home (2012), Midnight Memories (2013), Four (2014), and Made in the A.M. (2015) albums. One Direction has already been and performed on two worldwide tours and won some awards, including five Brit Awards and four MTV Video Music Awards. Apart from his singing career, he has also starred in television and film, including the Nickelodeon series iCarly, and the concert film One Direction: This Is Us. Last year, Billboard reported that he had signed a 3-album solo recording deal with Columbia Records, the same label that works with One Direction. For his solo albums he is working with famous songwriters such as Johnny McDaid from Snow Patrol, Ryan Tedder from OneRepublic, as well as writing for other artists such as Ariana Grande, Michael Buble. In 2017, he will be making his film debut in Christopher Nolan’s war drama Dunkirk, a film that is based on the British military evacuation in WWII. Tom Hardy, Mark Rylance, Cillian Murphy and Kenneth Branagh are also part of the cast. This wraps up our Harry Styles Net Worth profile! How much is Sean Combs Worth?